Adelaide has a number of galleries and museums including the Art Gallery of South Australia as well as the South Australian Museum. If you are interested in soaking up some culture, visiting these would be a good idea. The museum gives you an opportunity to indulge in art, culture and the history of the region. For you to gain the most knowledge, you should consider touring the museum through one of the free tours offered twice daily. This gives you an opportunity to soak up some of the knowledge that the staff have. Well, if you love shopping and cooking, you can combine the love for both by visiting the Central Market. Every day, hundreds of farmers troop to this market selling their foodstuffs. You can be sure of two things when you visit the market: you will always get the freshest produce, and that there will always be a huge variety of foodstuffs to buy. One of the things that Adelaide is very popular with is the fact that it is the home to some of the world’s best wines. If you are a connoisseur, chances are that you will want to try out a few of them. However, the fact that there are so many brands means that you need a structured way of sampling them. Using a wine trail such as that offered by the Blessed Cheese café will make this easy for you, and also give you an opportunity to do some sightseeing. The trail has a number of stops where you can indulge in wine and cheese. Hahndorf is one of the oldest German settlements in Adelaide, and it shows. It features a number of quaint German shops and stores where you can get handmade German crafts. This region gives one the opportunity to indulge in the culture, cuisine and serenity of a small German settlement. 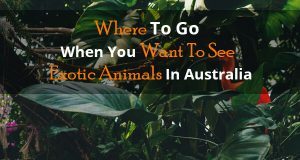 These are just some of the attractions you can try out when visiting Adelaide. Of course, there is a lot more that you can do in addition to the above, including indulging in the nightlife. For an easier time doing so, you should consider hiring a coach to take care of all your transport needs. This is cheap and makes it easier for you to have a more customized and flexible itinerary. We don't just provide bus hire and charter services. My team and I are committed to providing great information about travelling around Australia as part of our customer service pledge. 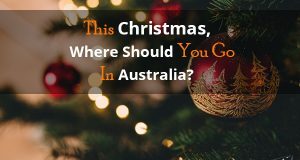 This Christmas, Where Should You Go In Australia?